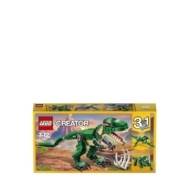 - 3-in-1 T. rex with bright orange eyes, posable joints and head, large claws and an opening mouth with pointed teeth. Also includes the dinosaur’s prey in the form of a buildable rib cage. - Check out the authentic dark-green and beige color scheme. - Stomp through the streets with the scary T. rex. - Pose the T. rex's arms, legs, tail and head, and open its mouth to reveal ferocious teeth. 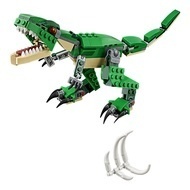 - Rebuild to create other Mighty Dinosaurs. - This set includes over 170 pieces and offers an age-appropriate build and play experience for ages 7-12. 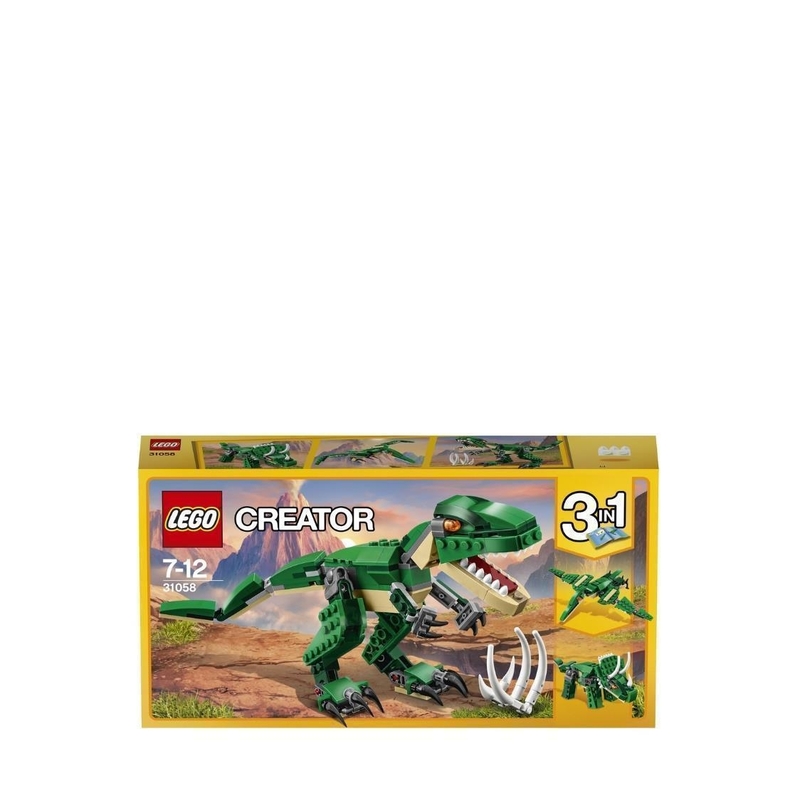 - 3-in-1 model: rebuilds into a Triceratops or a Pterodactyl. - T. rex measures over 4” (11cm) tall. - Triceratops measures over 3” (9cm) tall. - Pterodactyl measures over 1” (4cm) high, 7” (18cm) long and 9” (25cm) wide.